Looking for a stocking stuffer….or maybe a gift for yourself that lasts all year long? You’re in luck! The Bangor Christian Schools Athletic Department is selling Tim Hortons “punch cards” to raise funds for our athletic program. 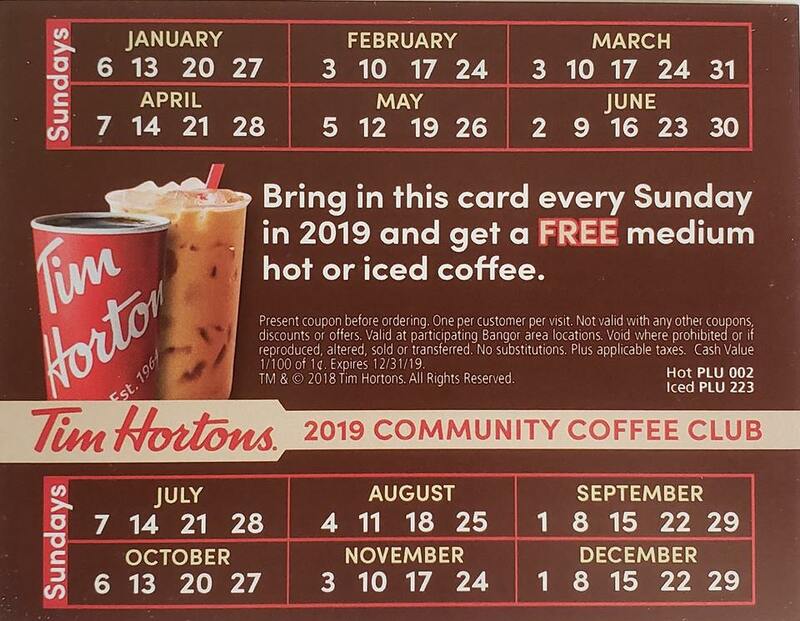 Stop in at a Tim Hortons nearest you every Sunday of 2019 with your card, and receive a medium drink free of charge! (Frozen drinks are not included.) Cards are $20.00 and they’re available for purchase at any BCS athletic event, from a BCS student-athlete, or in the school office. Thank you for your support!